You shut down your PC when you left for the day, but now you need to get a document. You don’t need to go back to the office—simply use our Wake-on-LAN tool. 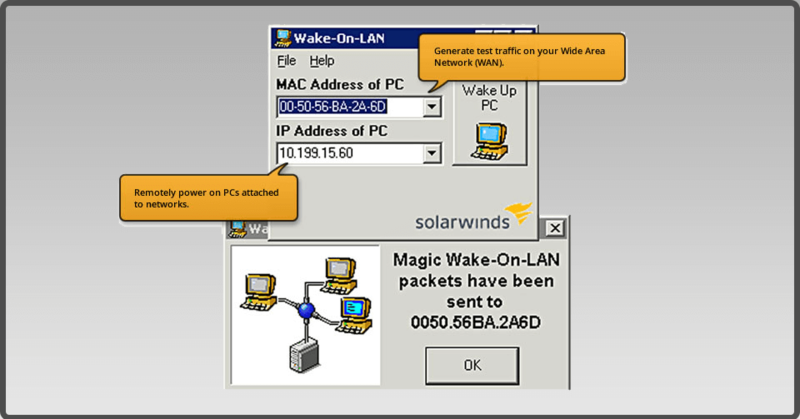 When the remote network adapter hears a "magic packet" created for its unique MAC address, the network adapter will alert the computer to power up.